With the XR Driver speed is everything, and it’s the driving force behind this new driver from Callaway. That means speed from a RMOTO face, speed from an aerodynamic crown and speed from max shaft load. If it increases speed, it’s in the XR driver and that’s why it’s Callaway’s fastest titanium driver ever. whats the difference in loft?isnt it adjustable ? Yes, the lofts are adjustable with Callaway clubs, but you still need to pick a loft that you are comfortable with in a standard setting. The Opti-Fit hosel system on Callaway clubs allows for -1, +1, or +2 from standard printed loft. going on sale anytime soon ? Please reference the home page for current promotions by following the link below. https://www.3balls.com/ Unfortunately we are not notified when the price of an item will be lowered until it has been done on the website. 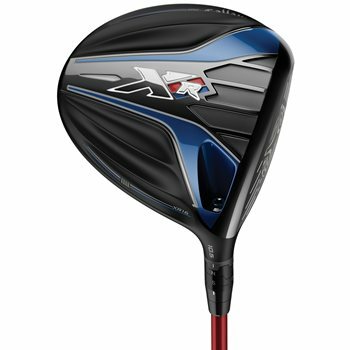 can this driver be shortened by 1/2"? Unfortunately, we do not offer club length alterations. You would have to have that done locally after receiving the club.